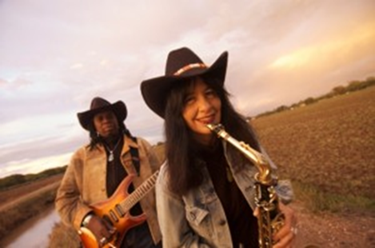 Joy Harjo, Muscogee Creek poet, musician and performer will be speaking and sharing some of her works as a Native writer on March 2, at 7:00PM. The event will be in Recital Hall at the Communications Building at The Evergreen State College. Her work is politically insightful and visionary, and speaks to what humans need to do to live in harmony and protect the planet and have good relations with one another and the natural world. She has earned her reputation as one of the finest American and Native American writers because she has the ability to talk with such insight about the human condition. This entry was posted in Raven views and tagged Evergreen State College, Joy Harjo, March 2015. Bookmark the permalink.